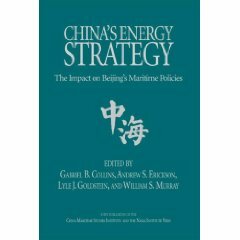 James E. Fanell and Ryan D. Martinson, “Countering Chinese Expansion through Mass Enlightenment,” Center for International Maritime Security, 18 October 2016. Ryan D. Martinson, “The Scholar as Portent of Chinese Actions in the South China Sea,” Center for International Maritime Security (CIMSEC), 25 July 2016. 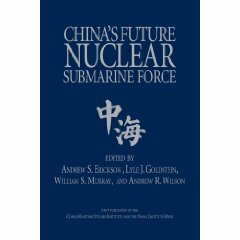 Ryan D. Martinson, “The Courage to Fight and Win: The PLA Cultivates Xuexing for the Wars of the Future,” Jamestown Foundation China Brief 16.9, 1 June 2016. Ryan D. Martinson, “The 13th Five-Year Plan: A New Chapter in China’s Maritime Transformation,” Jamestown China Brief, 12 January 2016. Ryan D. Martinson, “Deciphering China’s Armed Intrusion Near the Senkaku Islands,” The Diplomat, 11 January 2016. Ryan D. Martinson, “China’s Great Balancing Act Unfolds: Enforcing Maritime Rights vs. Stability,” The National Interest, 11 September 2015. 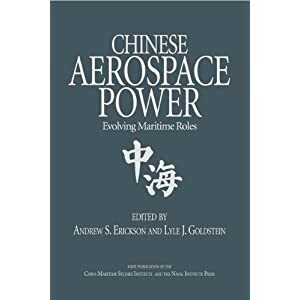 Ryan D. Martinson, “From Words to Actions: The Creation of the China Coast Guard,” a paper for the China as a “Maritime Power” Conference, CNA Corporation, Arlington, VA, 28-29 July 2015. Ryan D. Martinson, “East Asian Security in the Age of the Chinese Mega-Cutter,” Center for International Maritime Security, 3 July 2015. Ryan D. Martinson, “China’s Second Navy,” U.S. Naval Institute Proceedings 141.4 (April 2015). Ryan D. Martinson, “Jinglue Haiyang: The Naval Implications of Xi Jinping’s New Strategic Concept,” Jamestown China Brief (9 January 2015). Ryan D. Martinson, “Chinese Maritime Activism: Strategy Or Vagary?” The Diplomat, 18 December 2014. Ryan D. Martinson, “The Militarization of China’s Coast Guard,” The Diplomat, 21 November 2014. Ryan Martinson, “Here Comes China’s Great White Fleet,” The National Interest, 1 October 2014. Ryan Martinson, “Power to the Provinces: The Devolution of China’s Maritime Rights Protection,” Jamestown China Brief 14.17 (10 September 2014). 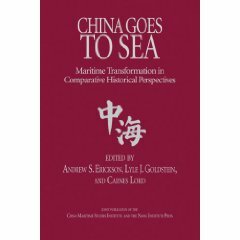 Ryan D. Martinson is an Assistant Professor in the China Maritime Studies Institute of the U.S. Naval War College in Newport, Rhode Island. The views represented in these articles are his alone, and do not reflect the policies or estimates of the U.S. Navy or any other organization of the U.S. government.